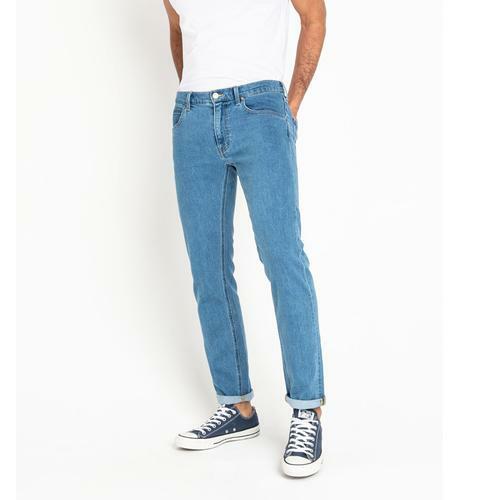 Wrangler 'Larston' Men's Retro slim tapered denim jeans in green belt. 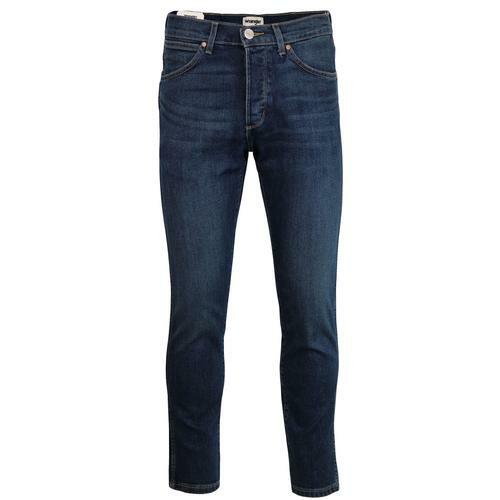 This clean and understated Mod denim jean possesses a certain workwear aesthetic with subtle stitch detail creating minimal visual impact, blending in to accentuate deep blue textured denim. 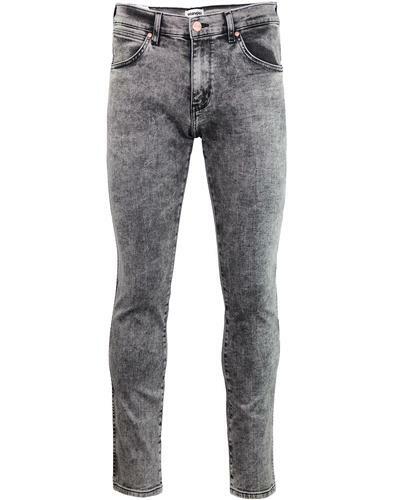 Contrast Retro rivet detailing to the pockets and dark brown Wrangler back waistband tab add a touch of colour. The classic 5 pocket western jeans, 'Larston' are an iconic Wrangler staple, benefitting from zip fly and slim tapered cut. This particular green belt (dark blue) pair of Larston's is finished with deliberate creasing to front thigh, back legs and hems for a hint of Vintage Indie style. 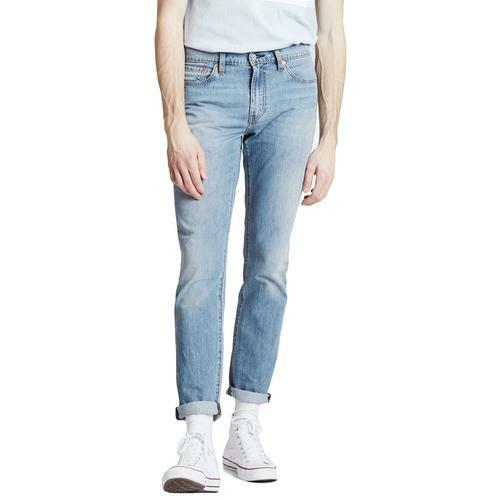 Can be worn as turn ups for that late 1950s Americana look. -Wrangler 'Larston' men's retro slim tapered denim jeans in green belt (dark blue). - Clean look with subtle stitch. - Subtle Wrangler 'W' back pocket stitch. - Brown leather Wrangler signature to back right pocket. - Creasing to the front thigh, back legs and hems. - Can be worn as turn ups. 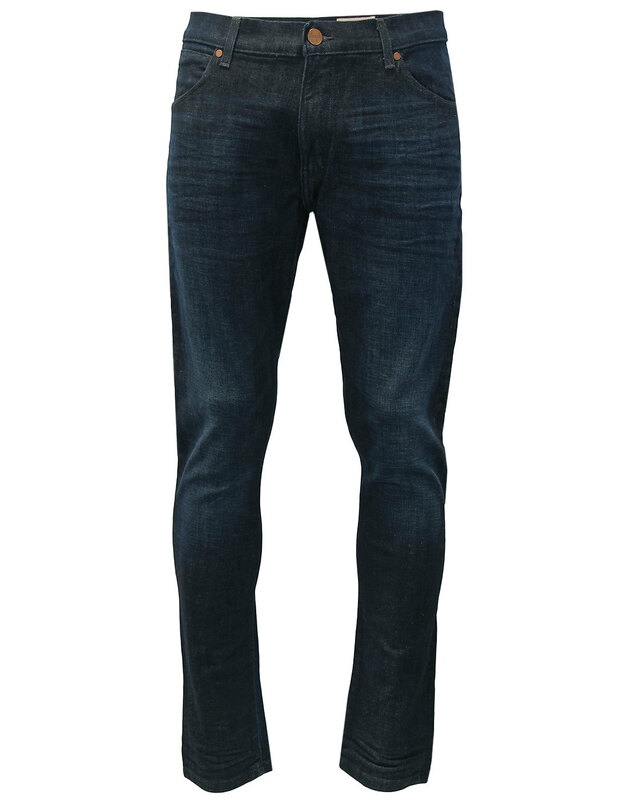 - SKU: W18S7797O Larston Jeans. Care: Machine wash. Please refer to garment care label. Please note: Colour may transfer by rubbing onto lighter coloured surfaces.